Kneeling Drishti: Have your yoga students sit in Thunderbolt pose on their knees. (Use two stacked blocks under the buttocks and a blanket under the shins if needed.) Hold hands in a prayer position, Anjali Mudra, slightly out from the chest so you can gaze about four feet in front of you, over the fingertips. Now comes the transformative part! Let everything around you become a blur. I use the analogy of when you are really tired and you catch yourself staring at something and then someone calls your name but you keep staring, as if you’re in a trance. (I promise I am not trying to hypnotize anyone.) Let the face soften and imagine smiling from the inside-out. Spend about 5-10 breaths here, enjoying this focused, effortless gaze. Then begin the asanas. 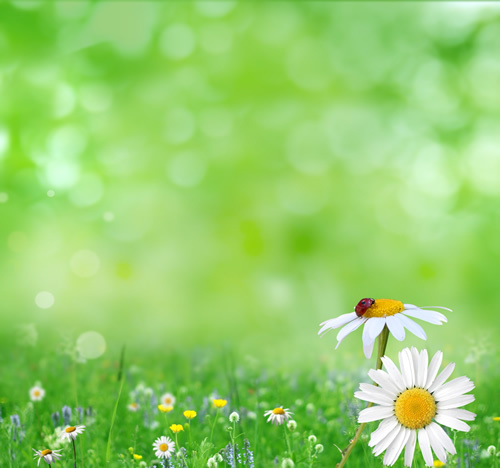 Flower Drishti: In the spring, pick a daisy or some type of flower for each student. Before class, place one in front of each mat. Have the class sit in Lotus of Easy Seated Pose and focus the gaze on the flower, being sure to examine every part of it with the eyes. What color is it? What do the petals look like? Are there veins on the petals? What about the center of the flower? You can guide the class with verbal questions like these while pausing in between each question. This relaxing practice of Drishti helps even the wiggliest of students to focus better with the use of a visual aid. These small exercises are just a few ways to practice Drishti in your classes. Do you have any other ideas? Let me know and let’s keep those yoga juices flowing! Teacher or student, yogi or Certified Couch Potato; let me know your thoughts!